Smoke Sky takes the reader back a little by exploring the character of Gemma and how she came to be a part of the Marauder's clan. While reading the other books in the Dark Sky series, I was always a little curious about Gemma's story and why how she became connected with Sawyer and Nash. 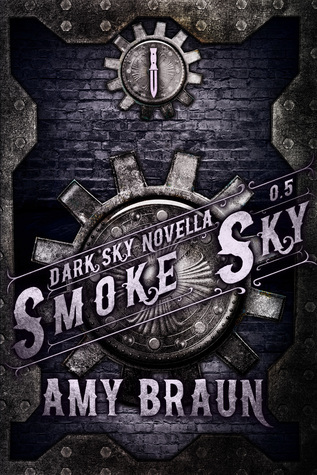 Smoke Sky is action packed (no surprise there) and sheds light on Gemma's personality and why she's such a tough and strong character. Gemma has always been my favorite character and Smoke Sky gave me even more reason to keep that opinion going strong. 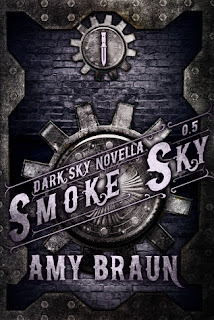 I thoroughly enjoyed this novella and will be looking forward to Obsidian Sky that will be releasing in the next few months! Thank you Amy for sharing another wonderful book with me!